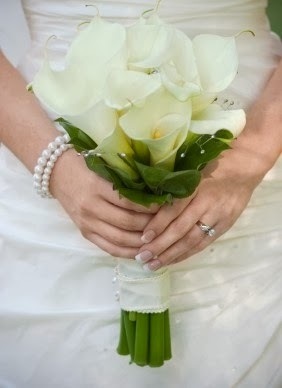 Would you like a calla lily bouquet for your wedding? 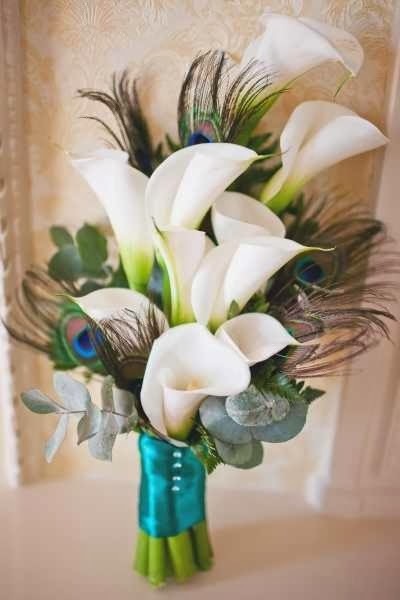 There are plenty of wedding ideas when it comes to bridal bouquet and one of the unique ideas that you can think of is to have calla lily bouquet on your wedding. 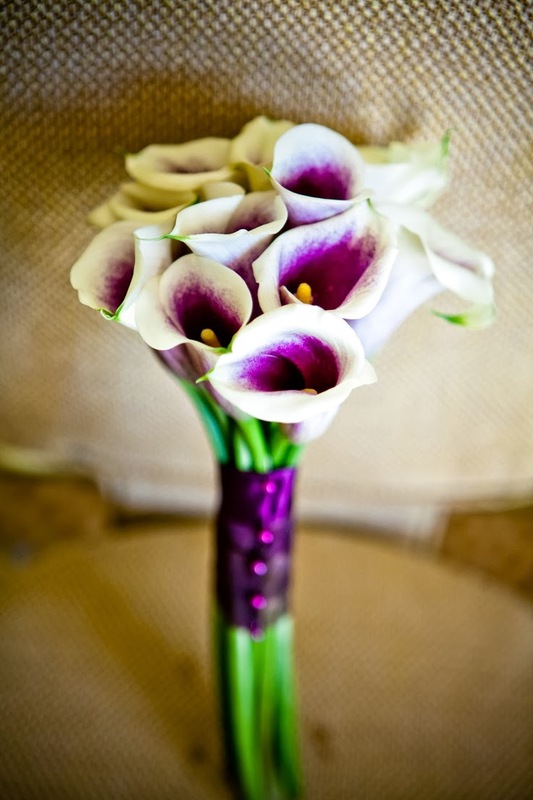 As far as wedding flowers is concern, calla lily is sure to be one of the most elegant of all the wedding flowers available. With its long stem and extraordinary trumpet shaped bloom, you can never go wrong with this lovely flower. The classic beauty of this floral selection makes them one of the favorite flowers of soon to be brides. 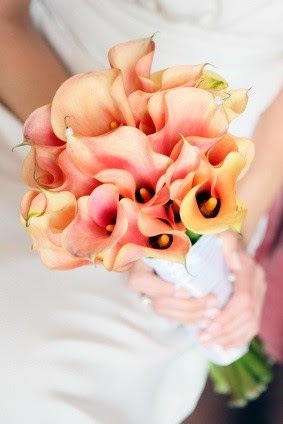 They can stand on their own and can also mix with other flowers as well to produce an elegant calla lily bridal bouquet. There are two types of calla lilies, the standard and the mini. 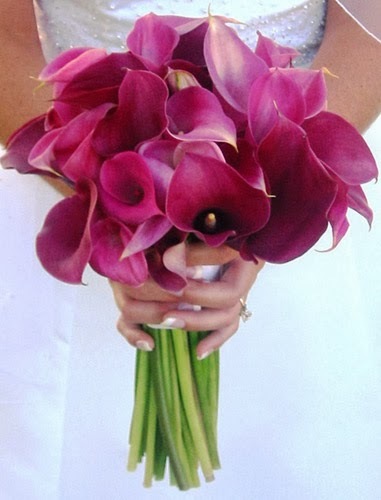 The standard calla lily has two colors, white and yellowish green while mini calla lilies come in various colors. The beauty of these flowers emanate from its delicate bloom up to its lengthy stem. Mini ones are perfect for any kind of season because of the various colors they possess. You can have white ones for your winter wedding; and purple ones for weddings during the fall season where rich colors are in abundance. Flowers in light colors perfectly match a summer wedding in a beautiful garden. 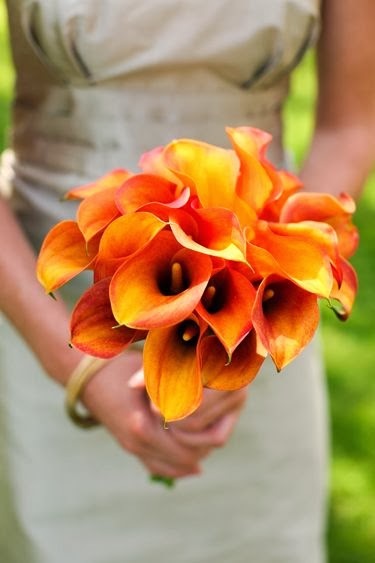 Bridal bouquets can be made with 8-12 small ones and 3-5 small flowers for the bridesmaids; 2-3 mini callas for the groom's boutonniere while a single mini calla lily for his groomsmen. Aside from these flowers in your bouquet, there are several arrangements you can make to decorate your wedding reception. Centerpieces perfectly highlight the table and offer a dramatic look to the wedding reception as a whole. And if you want to arrange the flowers yourself, you can browse the internet or some books to take a look for photos so you'll have an idea with the various arrangements that can be done to make pretty bouquets. Just like roses, these flowers are also available all year round. This is the reason why these along with rose bouquets are perfect for weddings; they are very flexible and can go with any kind of flowers in any season. For a fall wedding, mix dark yellow flowers with orange roses and feel the richness of the season. 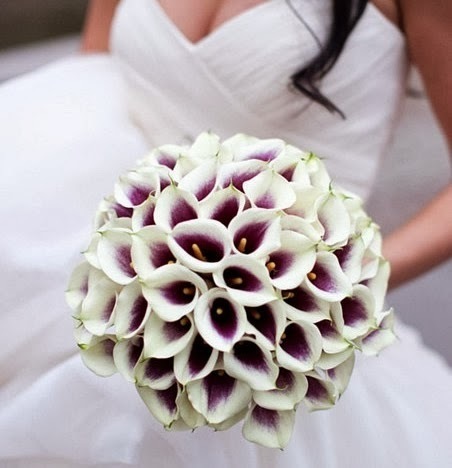 Or you can highlight your white lilies by combining dark pink roses and create a fancy bouquet. If you're on a tight budget and can't afford to buy fresh flowers for your bouquet, opt for silk bouquets instead. They are cheaper than the fresh ones but equally gorgeous. 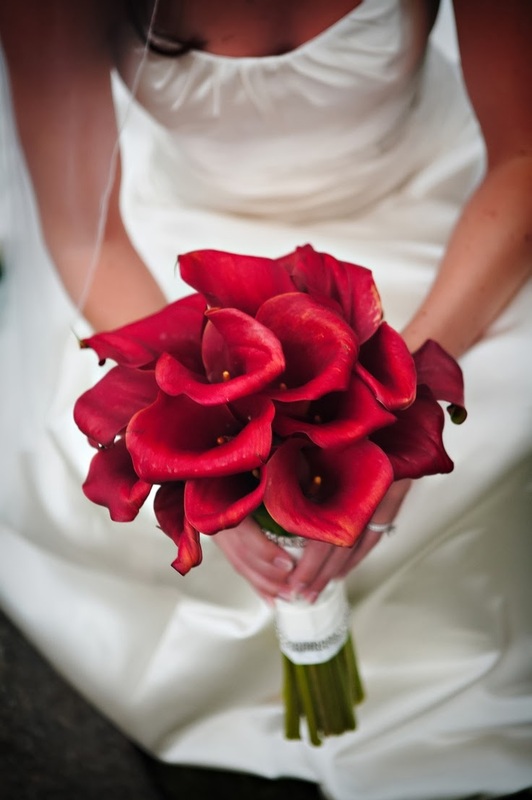 It is also advisable to avoid using fresh flowers if you have allergies or scared that it may stain your wedding gown. 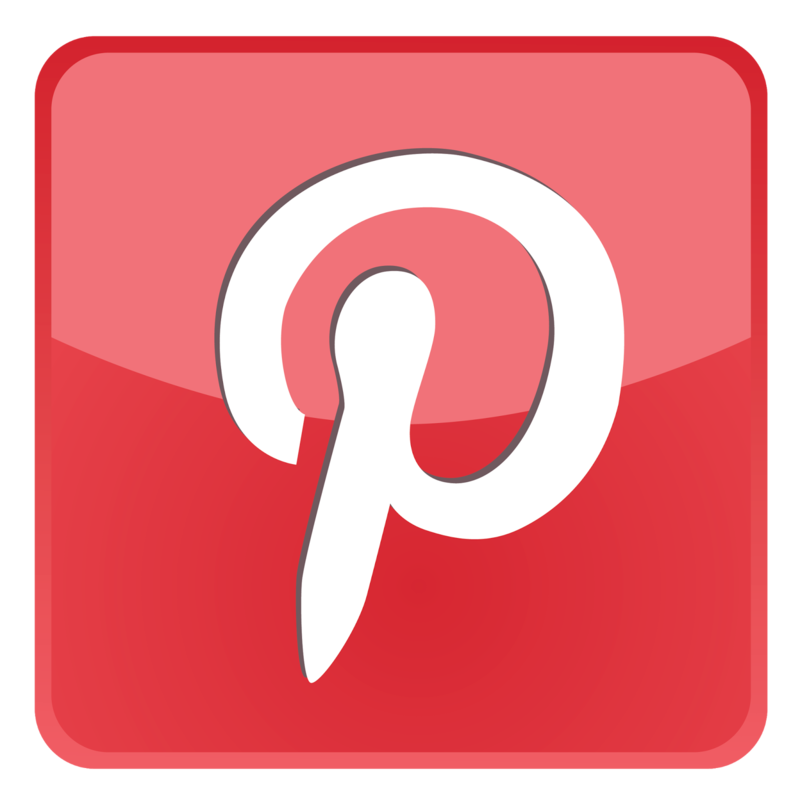 These bouquets can really make an impact because of its extraordinary beauty and flexibility. So if you're a bride who wants to stand out, these flowers are perfectly just for you.